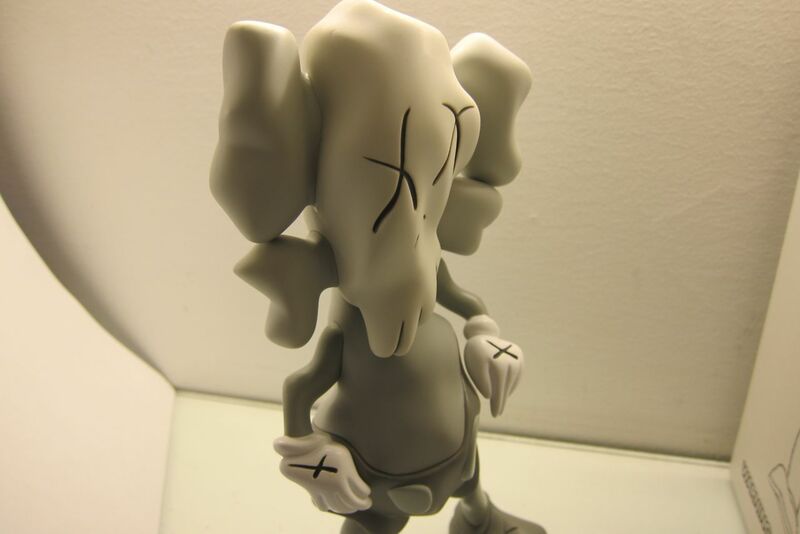 In case you missed it yesterday, KAWS put up for sale his latest release – a set of collaboration figures with Robert Lazzarini. 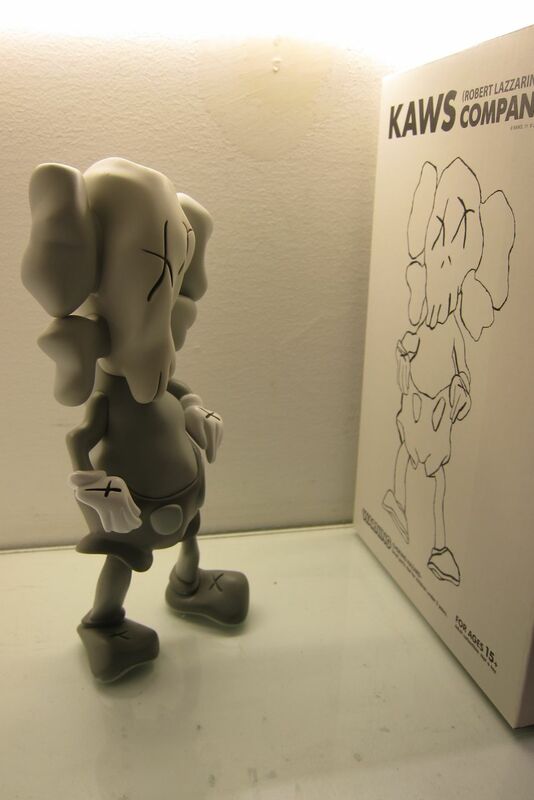 Unfortunately, they quickly sold out. 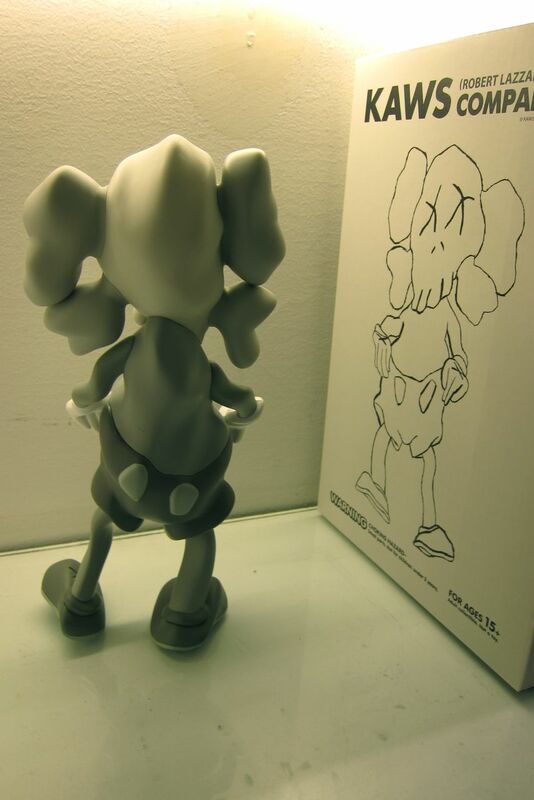 But lucky for you, AM ran down the delivery man in order to provide a detailed look into the “Distorted Companion” figures (previewed). 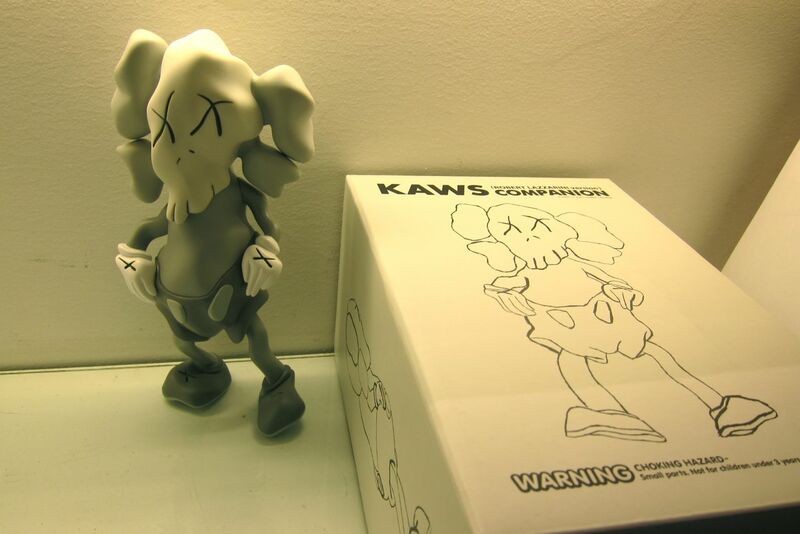 These jaw-dropping works blend KAWS’ iconic Companion with Lazzarini’s signature distortion treatment. 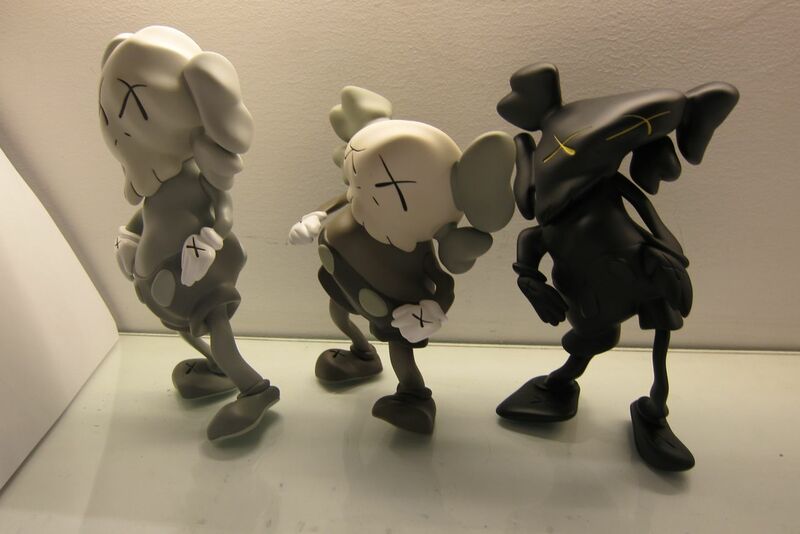 The three figures were released each in three different colors: brown, gray, and black. 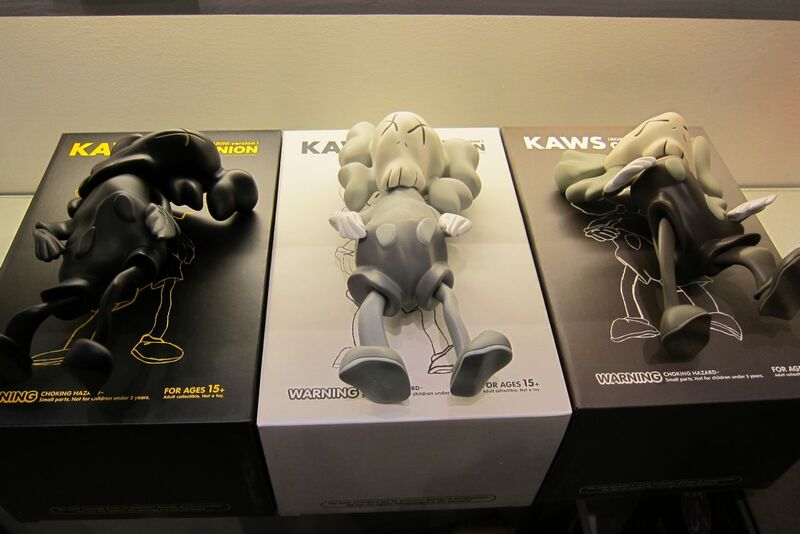 Also, each Companion received a unique mold to differentiate their intense warp and design for each colorway. 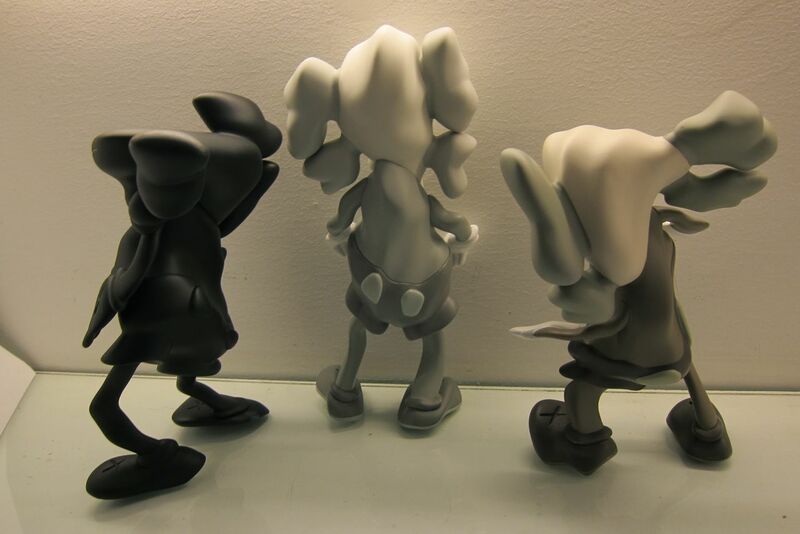 As you can see the gray was the tallest with the black being the middle and the brown being shortest (but widest). 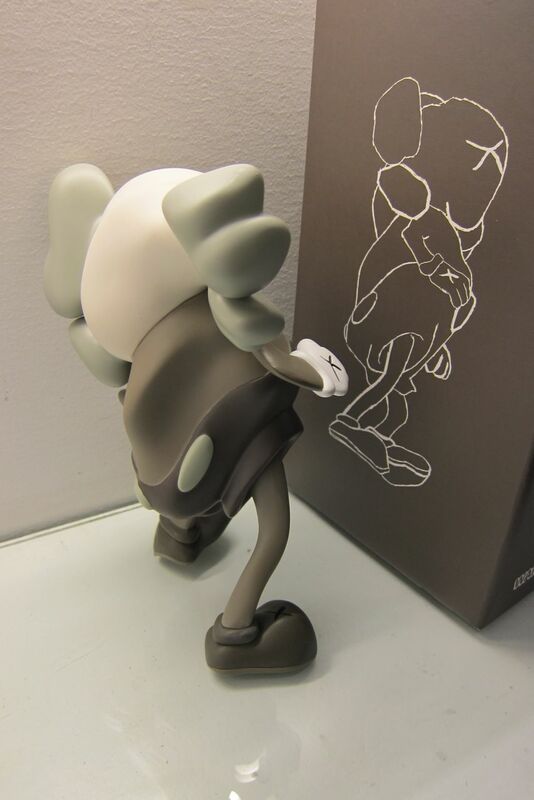 The detailing on these Medicom-produced figures are amazing, as we noticed that no matter how twisted the gumby-like vinyl seemed, each figure was perfectly molded and balanced to stand up perfectly. 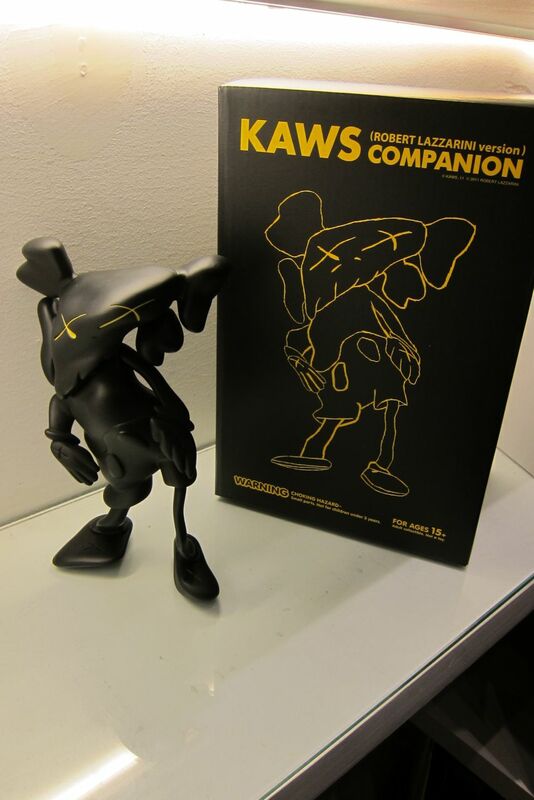 For those that missed out, there is still hope, as you can order yours here (while they last). 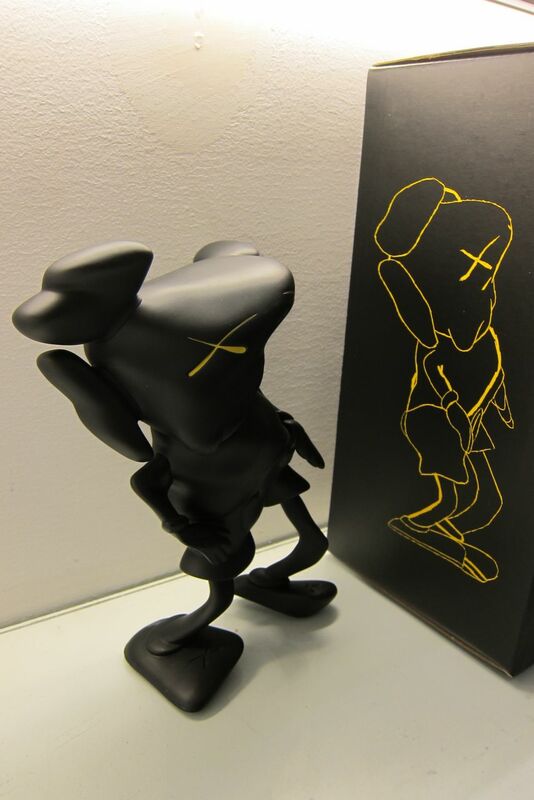 We expect big things from both artists as Lazzarini will be exhibiting at the Modern Art Museum of Fort Worth in February and KAWS will show again with Honor Fraser come fall. 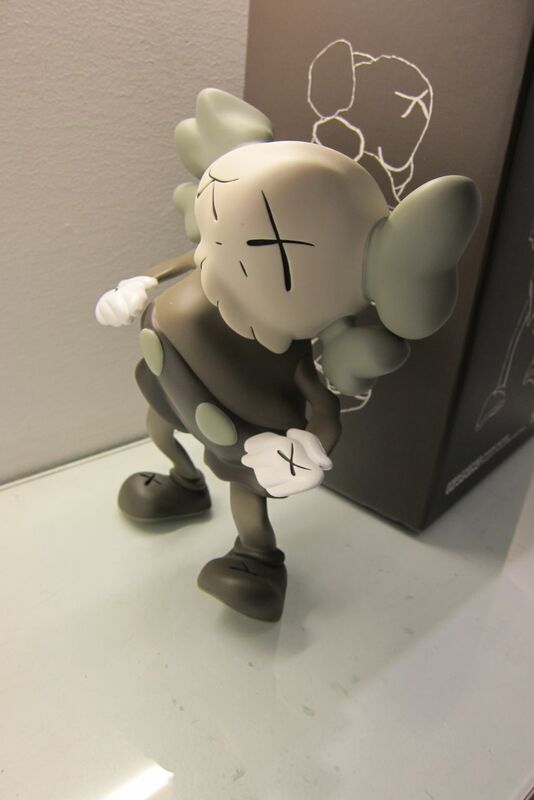 Check out all the detailed pics after the jump. 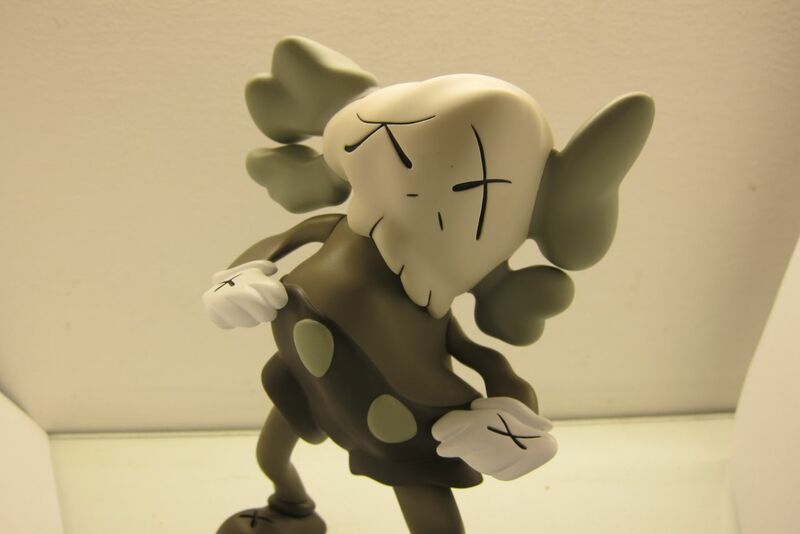 All rights reserved as these images are NOT to be used for eBay. 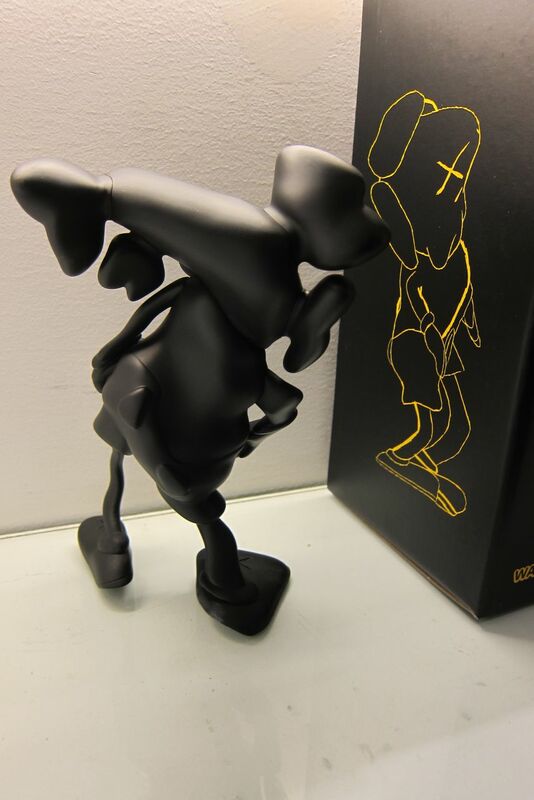 Categories: Art, Art products, Contemporary Art, Toys. 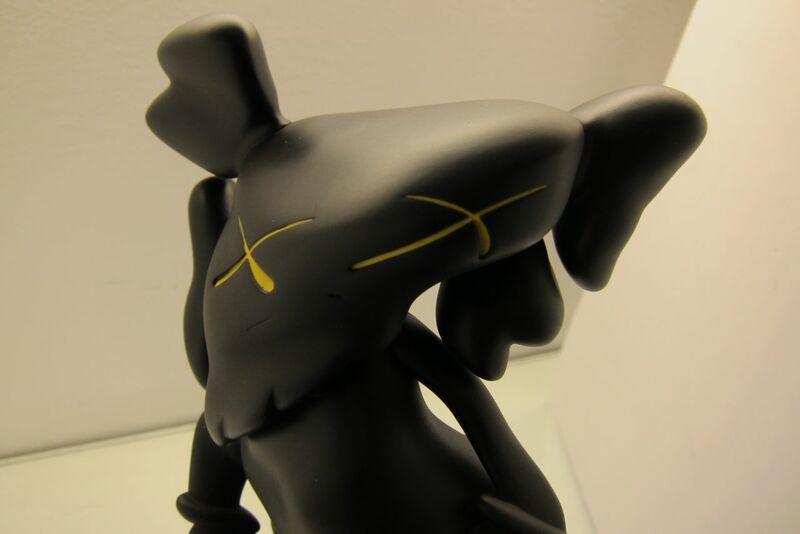 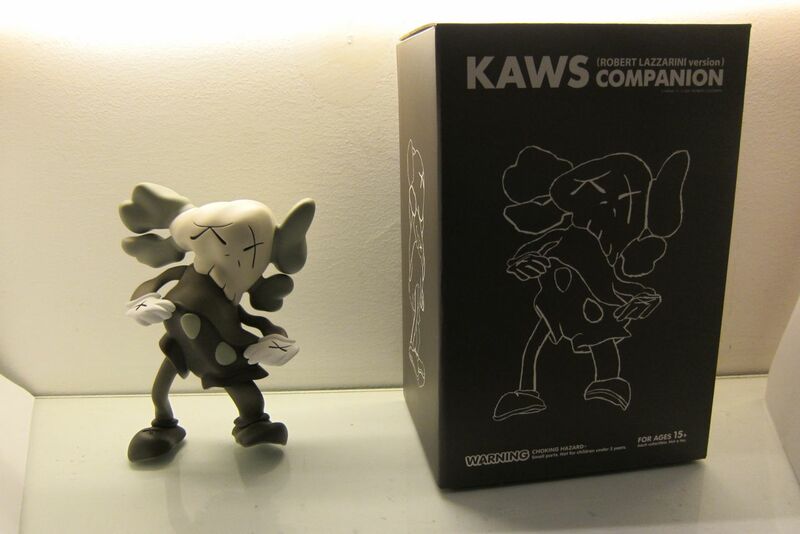 Tags: Art products, Contemporary Art, Kaws, Robert Lazzarini, Toys.